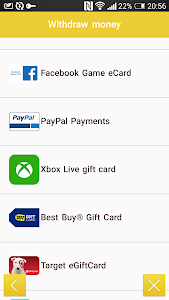 AdvertApp the best cash app that will make you earn cash by using your Android smartphone. Want to make easy money online using your Android mobile or tablet? 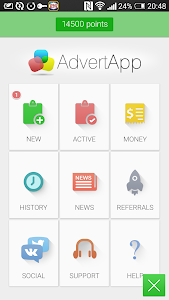 AdvertApp is a new app that make money. 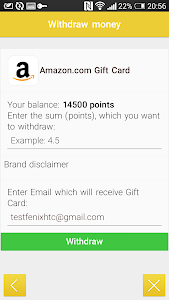 It is quite simple – download earning money app, perform a survey, get cash rewards. The best app that make money is waiting for you. How to start make money? 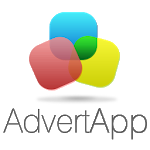 •	Download AdvertApp to start earning mobile revenues. •	During completing the orders (install free apps and watch free video after that) you will earn money on your account. •	Now you can instantly withdraw the earned money on Paypal, Facebook, Best Buy, XBOX, Amazon etc. •	For increasing your earning you may invite your friends that added 10% to your income. It really works! We have more than 3,000,000 users! We have a referral system! This is your real chance to make real money using your Android smartphone. 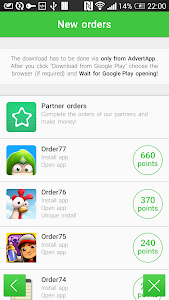 In addition, you can be the first to download the latest applications and games for Android. •	Instant notifications about new task! •	All of our tasks are costliness! •	Fastest cash withdrawal (about 10 sec)! •	No limits or minimum amounts for withdraw! •	Lots of most interesting app and new games! - Новый партнер с веб-заданиями! - Добавлены выводы на QIWI и Яндекс.Деньги! Выполняйте заказы от наших партнеров и зарабатывайте! Нас уже более 2,000,000! Приглашайте друзей в AdvertApp с вашим кодом или ссылкой приглашения! Подробнее в разделе "Рефералы". 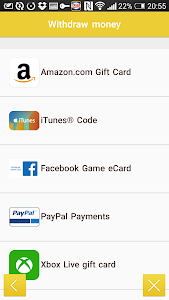 Similar to "AdvertApp: Free Gift Card"